Cost to build a retaining wall varies greatly by region (and even by zip code). Get free estimates from retaining wall contractors in your city. Cost to build a retaining wall varies greatly by region (and even by zip code). Get free estimates from retaining wall contractors in your city. How much does it cost to build a retaining wall 1? 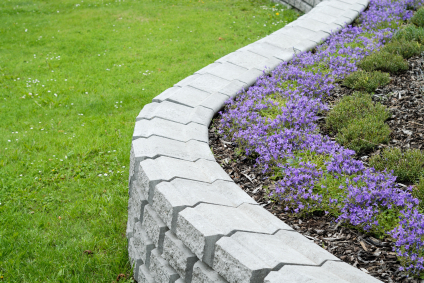 Whether it is for reinforcement and the prevention of soil erosion, or purely decorative, a retaining wall 1 requires special equipment, knowledge, materials, and skills which fall far outside of the average DIY enthusiast. For the purpose of this discussion we will consider the costs of building a retaining wall 1 from cast concrete and at a length of 50 linear feet. We will also take into consideration various heights as well, ranging from six, eight and ten feet. Materials - remembering that the project is going to require suitable backfill is essential and this will also have to be included in the costs of the project. This might include gravel and soil, or it could also mean the installation of drainage along with a gravel base and high-quality top soil. Costs will vary widely. The Wall - for a cast in place (concrete) retaining wall 1 with a vertical face, installed on no more than a 33 degree slope with a level embankment, at 6' high (including excavation and backfill) the cost will be $12,800. When the wall is increased to 8' in height the cost will average at $13,700, and when the height is bumped up to 10' the cost increases to $19,900. Dedicated DIY enthusiasts - if you are someone who is set on building a retaining wall 1, it is best to restrict the project to a very manageable size. For instance, something in the area of 20 linear feet at a height of 4' to 6' will be entirely possible. It will still require the same construction techniques, but it may be something that could use the more costly materials such as natural stone blocks, pressure treated lumber, and even bricks. Costs for this sort of project will remain lower than the professional installation with an average between $12 and $40 per linear foot. 2 Grading: The process of evening out the ground's surface, making it either flat or sloped. 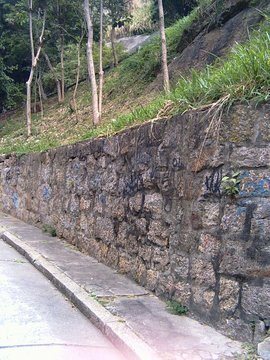 How much does it cost to build a retaining wall in my city? Cost to build a retaining wall varies greatly by region (and even by zip code). To get free estimates from local contractors, please indicate yours.